US police officer shoots colleague with stun gun by mistake. 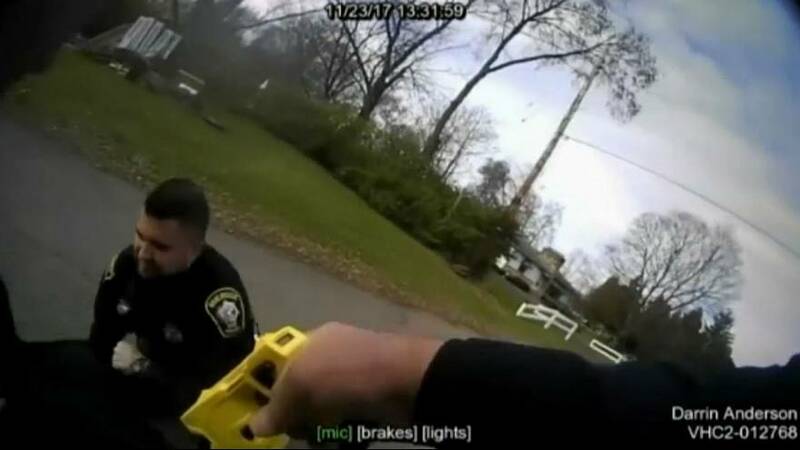 This is the moment a US policeman shoots a fellow officer with a stun gun. It happened in Ohio when the pair were trying to arrest a suspect after having pulled him from his car. One of the policemen then pulls a stun gun to help his colleague, who is struggling with the suspect on the ground. But he misdirects his shot, instead hitting his colleague. The injured policeman was hospitalised but is expected to recover, say police. They were responding to a call about domestic violence on Thanksgiving Day when the incident happened, report local media.